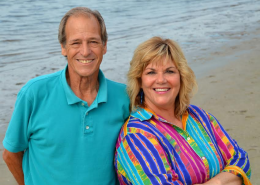 Pro Players Realty USA Forgotten Coast~Gary and Shari Edington "The Realtors Who Care" are the Broker/Owners of this Fast Growing Franchise originating in Tallahassee, FL. Specializing in Buying or Selling Real Estate and licensed since 2004. Members of The Tallahassee Board of Realtors, Florida Association of Realtors and National Association of Realtors. They believe in staying current with Education and Technology. They are passionate about helping people get The American Dream....Home Ownership! 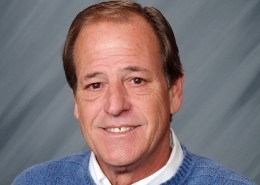 Gary & Shari go the extra mile for all their customers, they will guide you through a smooth real estate transaction and work as a team for excellent customer service. Our website features the best up to date real estate search for homes, condos, land and foreclosure properties available in Tallahassee Florida, Crawfordville, Franklin County and Wakulla County FL. It is the only site you will ever need! It is easy-to-use and updated by the official Realtor’s database every 15 minutes. They are so awesome! We had just moved to FL. So, we didn't know the area very well. After working with 2 other realtors, I felt they were starting to lose patience with me. Then my husband met Gary, who thank goodness knew the area in which we were looking and, had a lot of patience! I felt very at ease and, knew he was going to find the house that was just right for us. I've come to know both Shari and Gary, they are honest and very helpful. They will help you find that forever home. It is with pleasure that I recommend Shari Edington as a 5 star Real Estate Professional. Shari was very impressive in listening to me and what I thought I liked while steering us into the property that was a perfect fit for me and my family She was always available to take phone calls and immediately answered our questions. Her cheerful smile was appreciated as she drove most of the time to show the properties to me. Shari knows the Real Estate business well and she was masterful in her knowledge of the area and people. Her negotiation skills were excellent and we ended up in the right place for the right price, We are very pleased with our new home. Thanks to Shari. 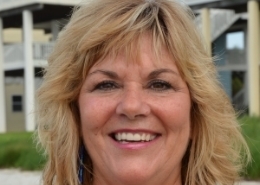 We found Shari online when we began looking for homes in the Shell Point/Oyster Bay area. She was very willing to work with us on meeting our needs and requests. She went above and beyond in looking out for our best interests when we found exactly what we were looking for. We are from out of town and she was always willing to check on things or whatever we needed and keep us updated so we didn't have to make a trip unnecessarily. I highly recommend Shari if you're looking for a new home. You won't regret it!